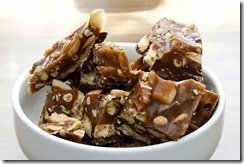 Originally called “Caramel Nut Crunch”, I’ve appropriated this and taken it a little upmarket with its new name “Pine Nut Brittle”. 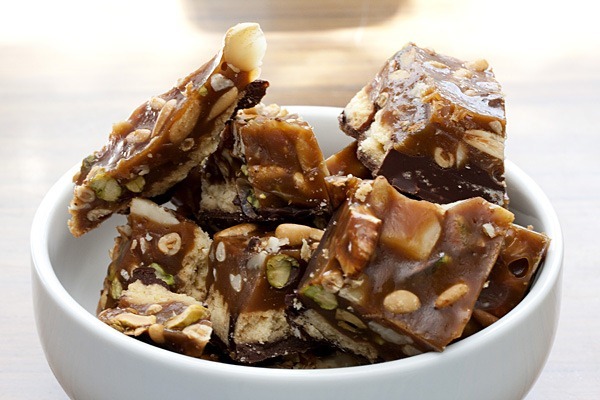 The original recipe came from the Australian Women’s Weekly, “Quick-Mix Biscuits and Slices”, p.28. I inherited this book from my paternal grandmother before she died, and always called her with a thank-you whenever I made anything using her books or kitchen tools. Line the base and sides of a 23cm square slab pan with plastic wrap. (Alfoil is easier to line with, but can sometimes be a pain to remove from the corner bits). Melt chocolate and butter in a small heatproof bowl over a pan of simmering water (or just microwave carefully) & spread over base of prepared pan. Halve biscuits lengthwise, place over chocolate & press down lightly. (You don’t want the biscuits to go all the way down to the base). Place in the fridge to set. Combine cream, essence, butter, honey and sugar in a large heavy-based pan. 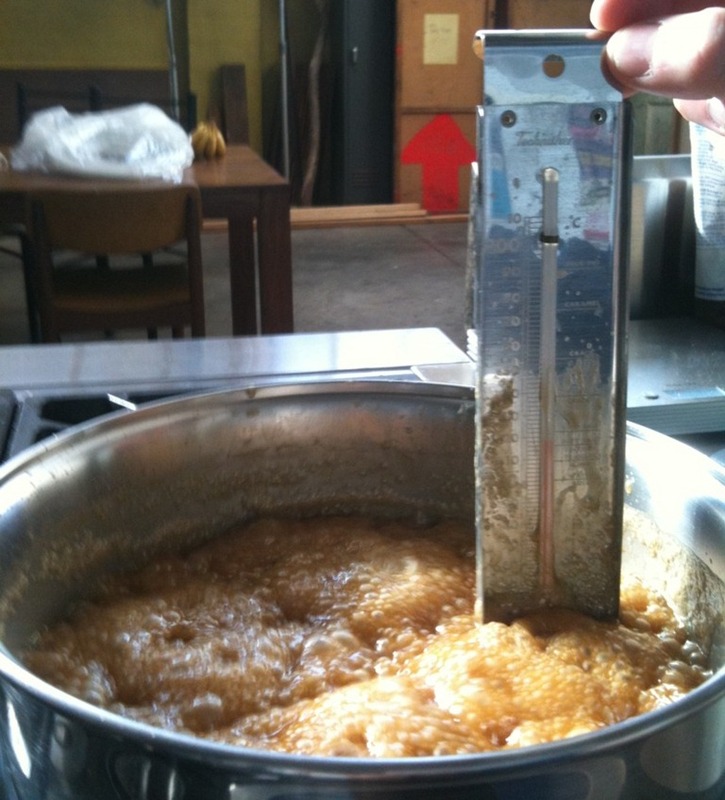 Stir over low heat without boiling until the sugar is dissolved. Boil rapidly for about 20 minutes without stirring until the mixture turns a caramel colour and reaches 122°C on a candy thermometer. Remove from heat and stir in nuts. Spread topping over base & refrigerate until set. Remove from fridge and let sit a while before cutting. (If it’s cut straight from the fridge it’ll shatter).